The Henderson Art Project (H.A.P.) 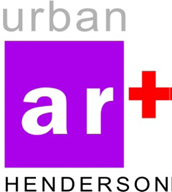 is an annual event selecting 11 artists to exhibit their work for a 2 year placement on Henderson Avenue, Dallas 75206. After the 2 year period, art will be returned to the artists. The 7 sculptures and 4 paintings will be selected. Each artist selected will be awarded an $800 stipend and become finalists for a citywide vote. The citywide People’s Choice prize money is First $3,000, Second $2,000, and Third $1,000. Visit www.hendersonartproject.com to view proposed art placement sites. Artists are encouraged to suggest the ideal location for their work; however final placements will be decided by Henderson Art Project selection committee. 7 pieces of sculpture will be selected and placed on the Henderson Avenue. Actual work completed or conceptual renderings are accepted. All work must be completed and installed by March 23rd. In an effort to promote the artists, we post links to your work on the H.A.P. web page. Please provide an image of yourself and link to your work. Information can be sent to scott@hendersonartproject.com. As soon as you know you’ll submit an application, forward your contact information, so we can post your contact information as soon as possible. We’d like to do this as soon as possible!